We are thrilled to announce that The World Press Photo Foundation has chosen Emakina.NL as partner to develop its new digital platform! We will create a new corporate website that fits the foundation’s full range of programs and digital ambitions. For six decades, the World Press Photo Foundation has been working from their office in Amsterdam, as a creative and independent non-profit organization. Their “World Press Photo” competition was initiated by Dutch photographers in 1955 and has become the world’s most prestigious photography competition. The foundation added a digital storytelling contest to the global competition in 2011. Every year, the winning stories from both contests are shown to millions of people through a worldwide exhibition. The foundation’s platform contains a very rich photo archive to announce nominees and winners of the annual photo and digital storytelling competitions. In addition, the new site will better highlight the educational, media, and talent programs of the organisation. Supporting and guiding visual journalists and storytellers creates more high-quality stories that provide insights into the world around us. We will be responsible for the new design, a replatforming to Kentico CMS and online marketing. The team has already started with the first design sprint. 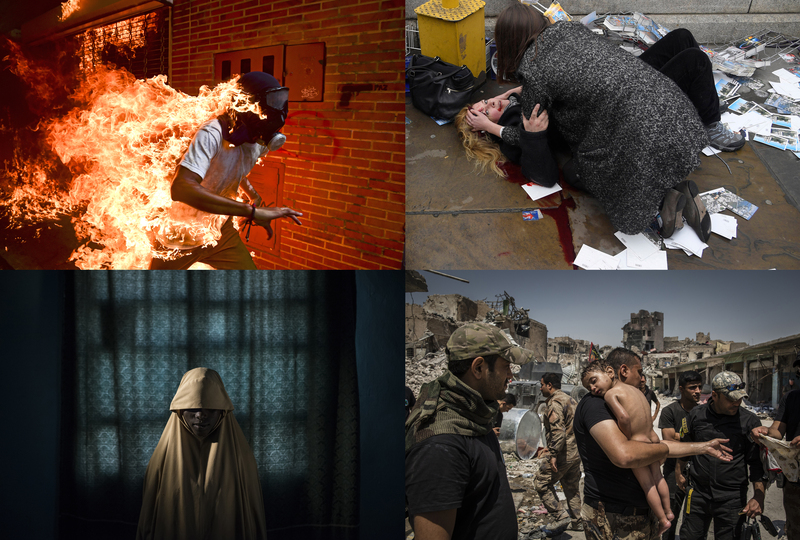 Top left to right: Ronaldo Schemidt, Agence France-Presse; Toby Melville, Reuters. Bottom left to right: Adam Ferguson, for The New York Times; Ivor Prickett, for The New York Times. Emakina Group, building high-performance digital businesses and delivering outstanding user experiences since 2001.